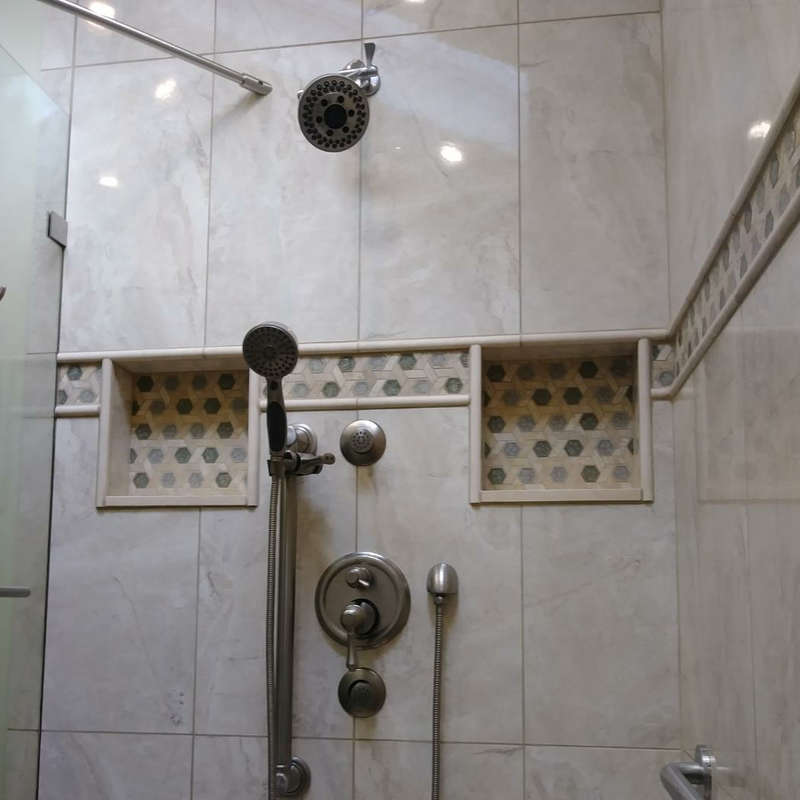 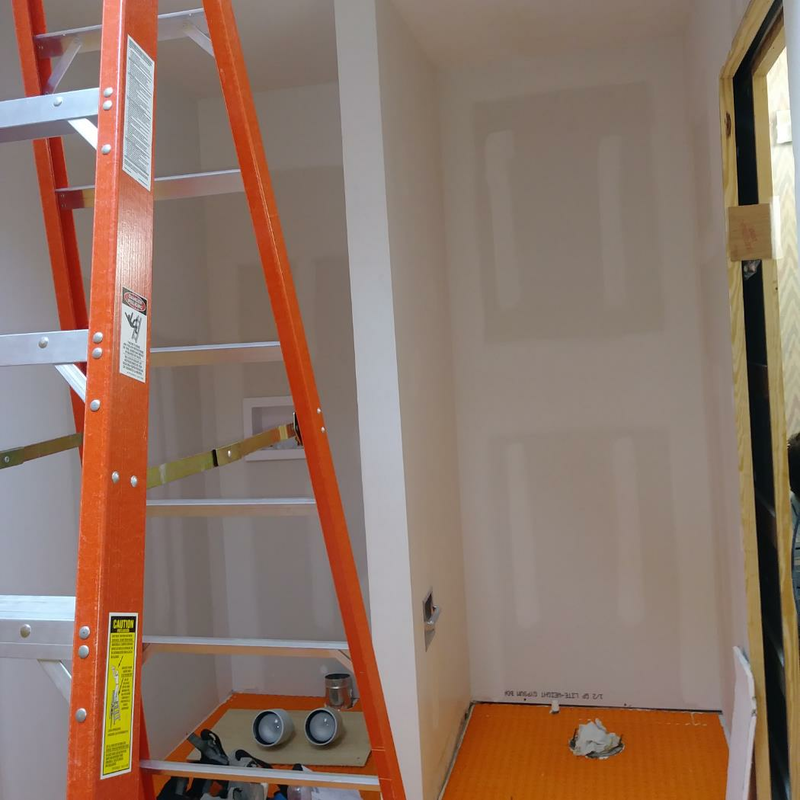 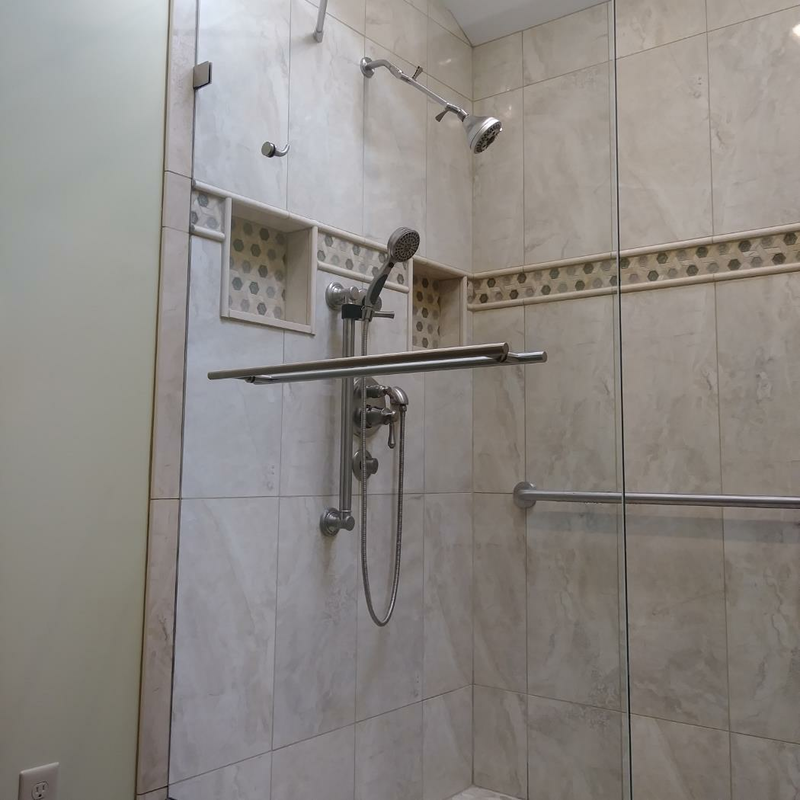 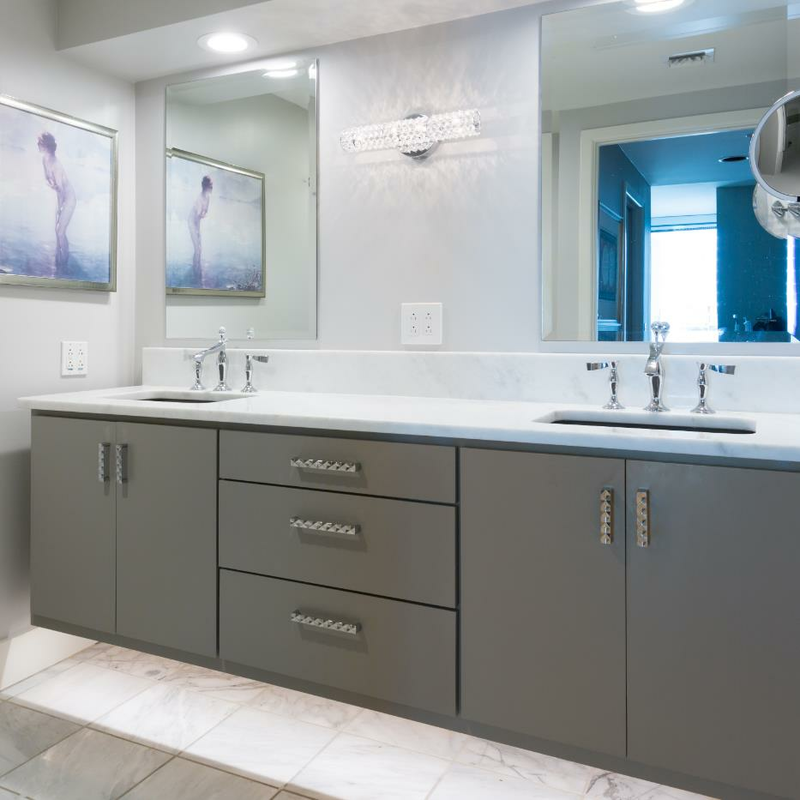 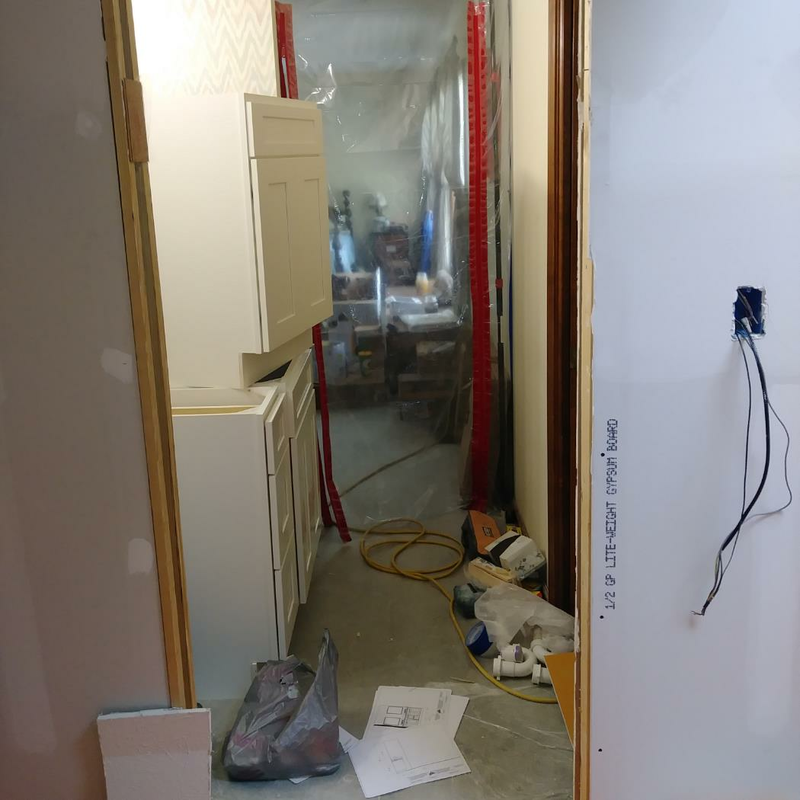 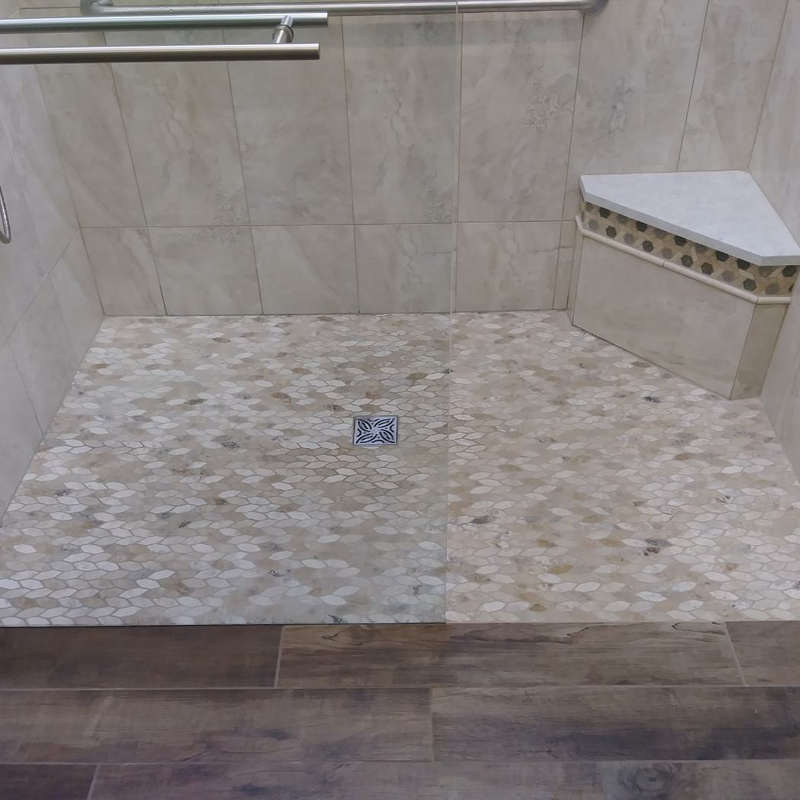 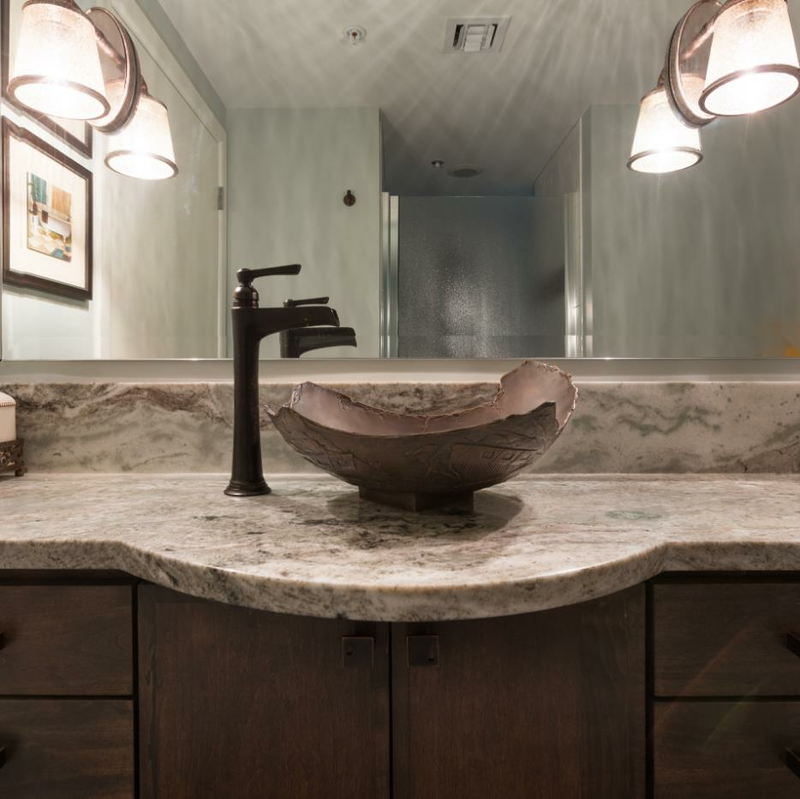 Our clients wanted to remove their large bathtub and small shower and instead add a larger, safe shower and more storage. 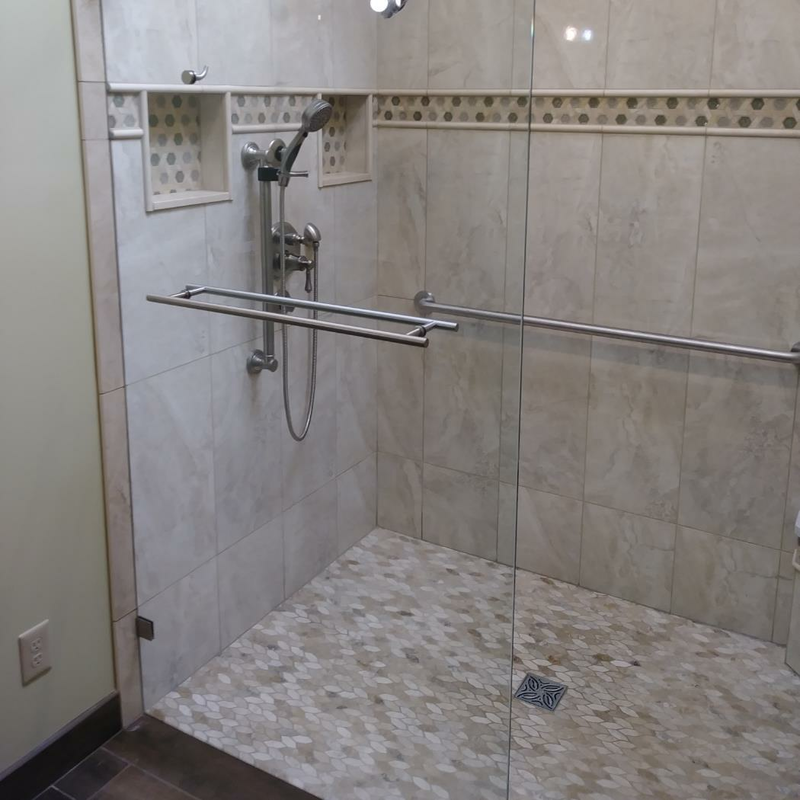 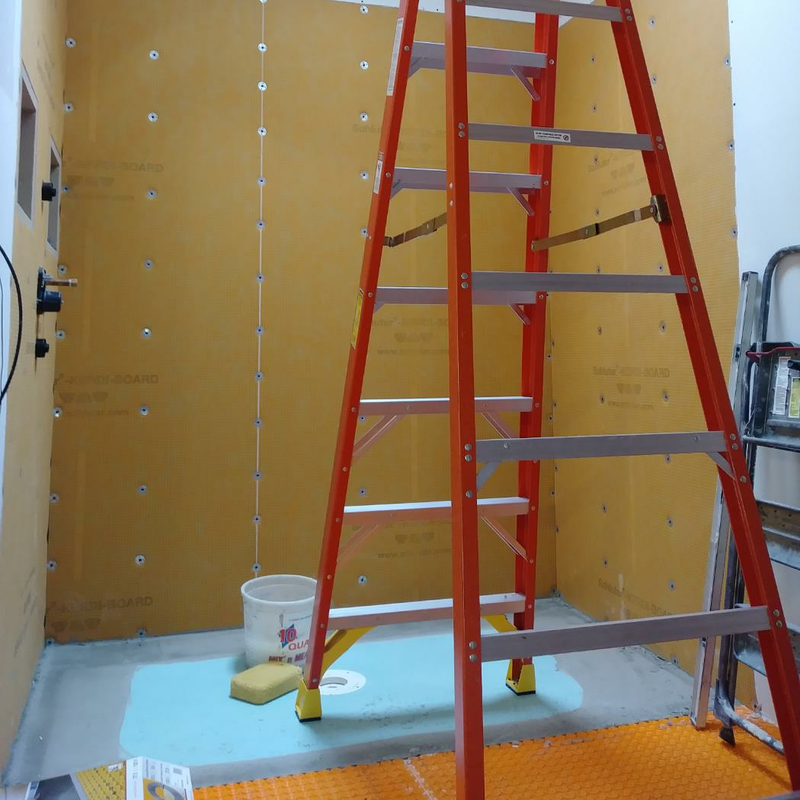 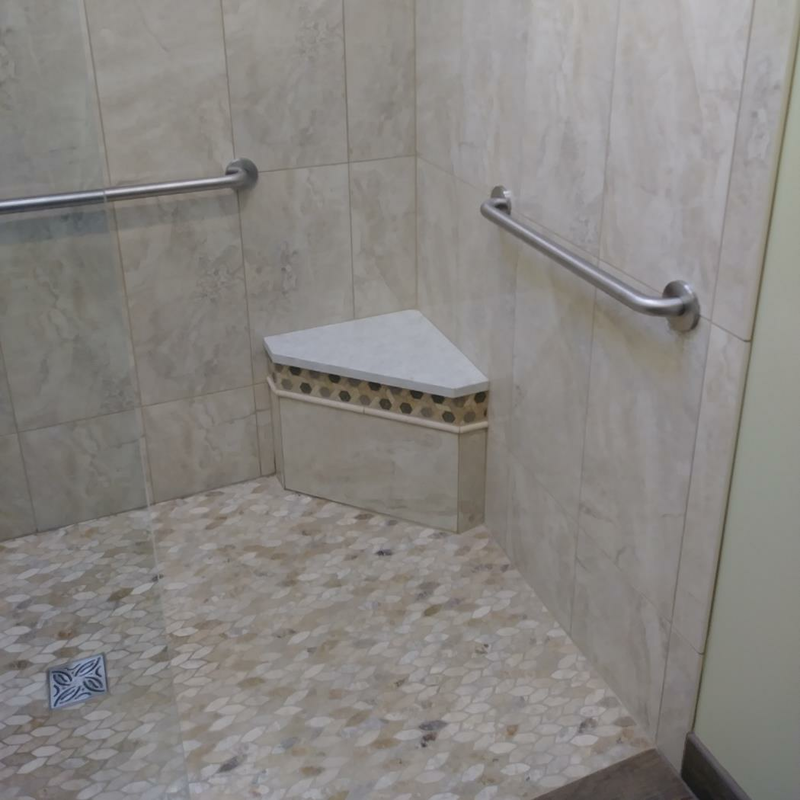 We designed a sizeable (46" x 75") walk in shower with zero depth entry, two niches, a body spray, safety bars, and a corner seat. 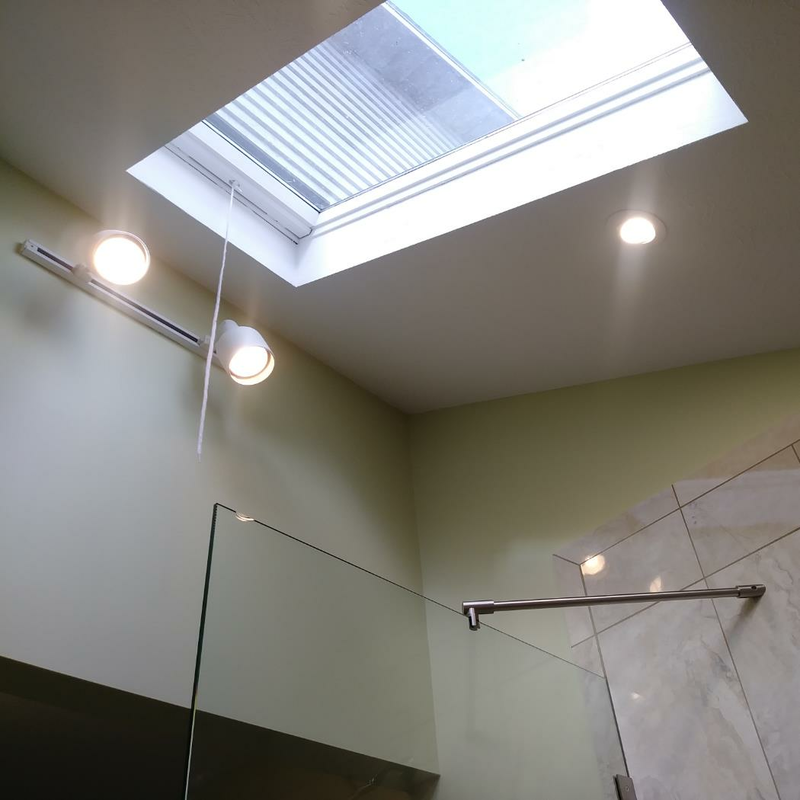 A couple can lights were added to the existing lighting and the skylight was kept for more elimination. 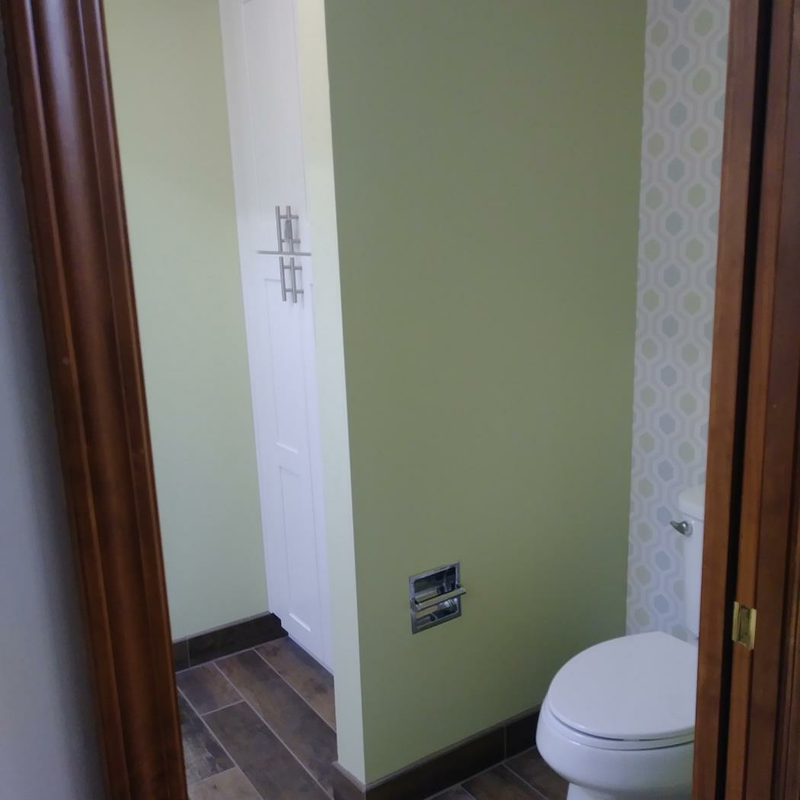 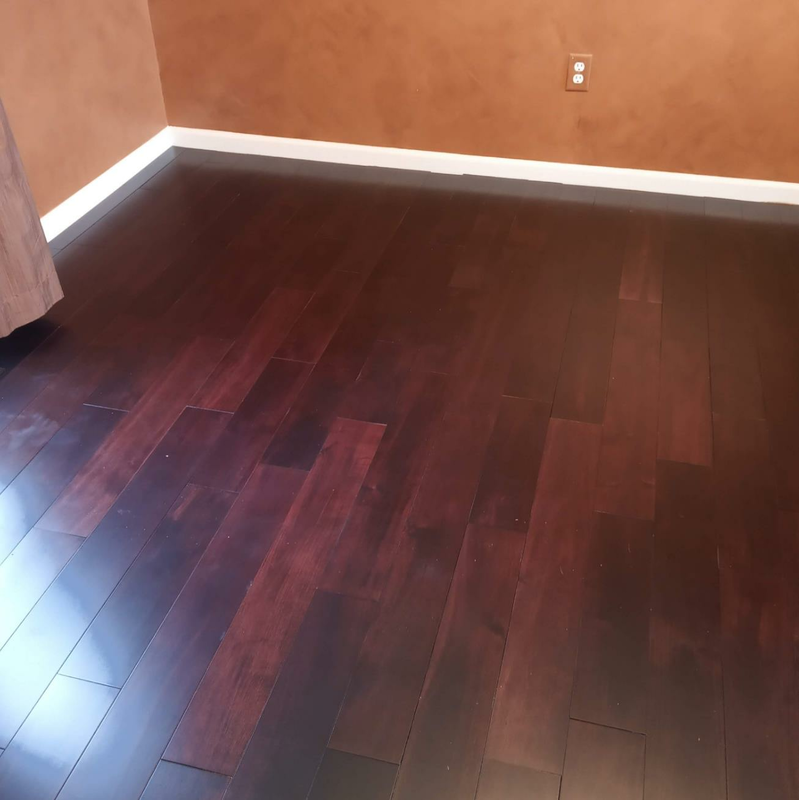 They will be able to use this space for a long time.